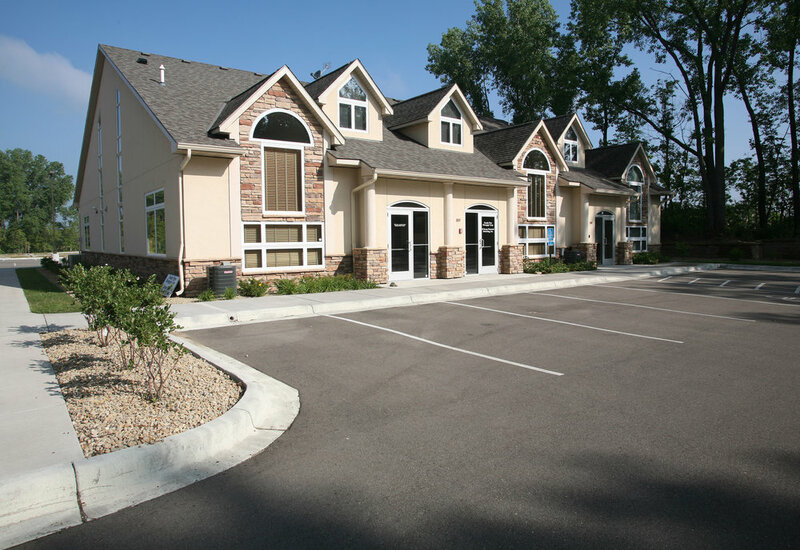 Eagan Offices — Lyon Contracting, Inc. The Birchwood Office Condo in Eagan, MN is conveniently located off of Pilot Knob/Yankee Doodle Road (just west of I35 E). This office has a beautiful vanilla shell with a walkout that overlooks a courtyard area with a southern exposure. Space is accessible to the outside through a common area and a walkout. Building has elevator and two finished unisex restrooms. There are two units on this level. Solid brick and stucco construction, generous windows, nice architectural detail, and abundant surface parking.